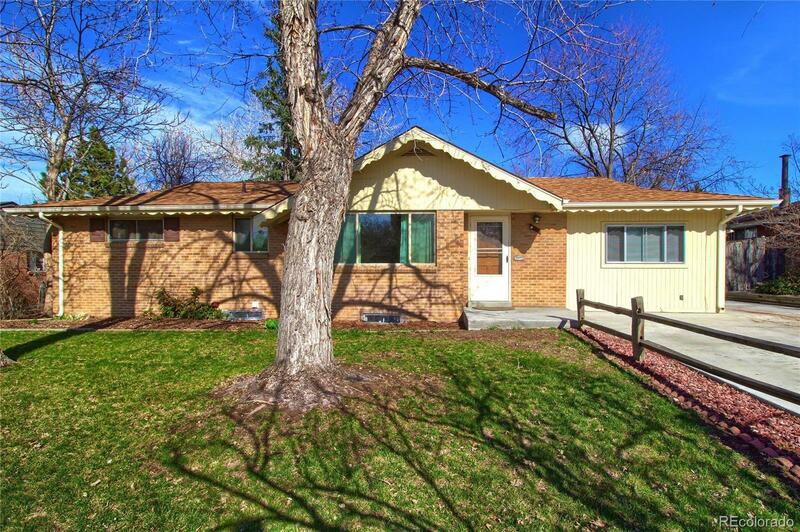 Great ranch-style home in Green Mountain area! Main level has cool 60's custom hand plastered details, oak floors, recently remodeled full bathroom, and 3 bedrooms. Large, open kitchen. Main level flex room addition has W/D hookups. Newly finished basement, new flooring, new paint, 2 bedrooms, & new bathroom. Plenty of room to add a kitchen in basement, has sink already installed. Basement can be used as a rental or separate living space, has separate exterior entrance, 2 bedrooms, and 2nd W/D hookups. Large lot with 2 storage sheds and garden beds. Newer roof and gutters. Newer furnace, hot water heater, and AC. Oversized 2 car detached garage has plenty of space for multiple cars, and large, unfinished loft area that can be finished to add living area, studio, etc. Zoned for accessory dwelling. Near shopping centers, St. Anthony's hospital, many restaurants, miles of trails, lots of open space parks. 20 min to Denver, 5 min to Red Rocks. Walk to light rail. You'll love living here!